How We Test Camcorders - Which? Which? camcorder testing means we can identify which models are worth buying, as well as the ones you should avoid. Expensive camcorders can sometimes be disappointing, while we’ve seen some low-budget belters outshine camcorders twice the price. Which? 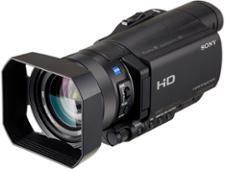 lab tests mean you can be sure that the Best Buy camcorders we recommend are the ones that shoot great video every time. Every camcorder goes through exactly the same tests, where we assess not just image and sound quality, but ease of use and what the battery life is like. We recreate the conditions you’re most likely to use a camcorder in, and try out the camcorder’s major features. Does the camera take clear video with lifelike colour? How good is the sound? How easy is the camcorder to use? Can you see what you need to on the screen or viewfinder? What is the still image quality like? 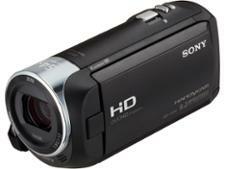 Find an excellent camcorder that is both simple to use and captures pin-sharp video with our camcorder reviews. Video quality is paramount, and we put hours into testing each camcorder in different conditions. We film in bright lights and in more dimly lit settings, to see how the camcorder copes in low-light conditions. We look for signs of image noise or graininess and check whether the camcorder struggles to hold its focus or keeps changing the brightness level. We also use colour charts and take video of objects in the studio to see how accurately the camera captures colour, so that your favourite shirt will look the right shade and skin will look natural, not red or orange. We also pan the camera left and right, to see if this causes the picture to jerk or break up, and we deliberately take shaky footage to see if any image-stabilisation features will keep your shots smooth and steady. Great video is one thing, but you need great sound to get the whole experience. That’s why we put each camcorder through demanding listening tests. First, we record specific test sounds, then compare our recordings to a best-quality reference recording to see how accurately it’s captured. We use both the built-in microphone and an external microphone, and we check to see whether using the zoom lens or pressing buttons will make unwanted noises on the soundtrack. Then we use a wind-noise generator, and find out how sensitive the camcorder is to wind and how much any wind filters affect the sound. It’s the only way to find out if you’ll get brilliant sound inside and out. We also test each camcorder left-handed, to ensure it's comfortable to use in either hand. While we don’t expect every camcorder to be usable by a novice within minutes, we do expect you to be able to shoot without reading pages of instruction manuals first. Our tests look at everything from the controls for recording and zooming to how quickly the camcorder powers up. Too much delay and you could miss that special moment. We also get three expert testers to try using the camcorder on a tripod and one-handed, so that we know how easy it is to reach all the controls and use the viewfinder or screen. Poor battery life can mean running out of power halfway through a great day out. We test the battery life for every camcorder we test, so that we can tell you how many minutes of shooting time you can expect from a charge. If this is a weakness, we’ll let you know. We check the built-in screen and any viewfinder to see if it gives a clear picture under normal lighting, and if it's too reflective to be used in bright sunlight when outdoors. We want to make sure that, whether you’re shooting in the bleak midwinter or the hottest day of summer, you’ll be able to see what you’re trying to film. What's the still image quality like? Camcorders can double up for shooting stills, saving you from carrying two cameras where one will do. Recent models do a better job with stills, so we test their photographic capabilities in a range of lighting to tell you which ones take great stills and which ones struggle. 80%The score a camcorder needs to earn Best Buy status. Which? tests approximately 50 camcorders a year and puts each model through a series of meticulous tests. These are designed to be both rigorous and repeatable, so you can trust in the quality of your next camcorder. A camcorder needs to score 80% or more in our tests to earn a Best Buy recommendation. Those that score 45% or less are highlighted as Don't Buy camcorders to avoid.